Park Court Apartments are relaxing 1 and 2 bedroom apartments. They are all step free and at ground level. There is a community room and on-site laundry facility. All apartments walk-in storage and controlled heat. Living with us, you would have no more worries about lawn care, maintenance and snow removal! 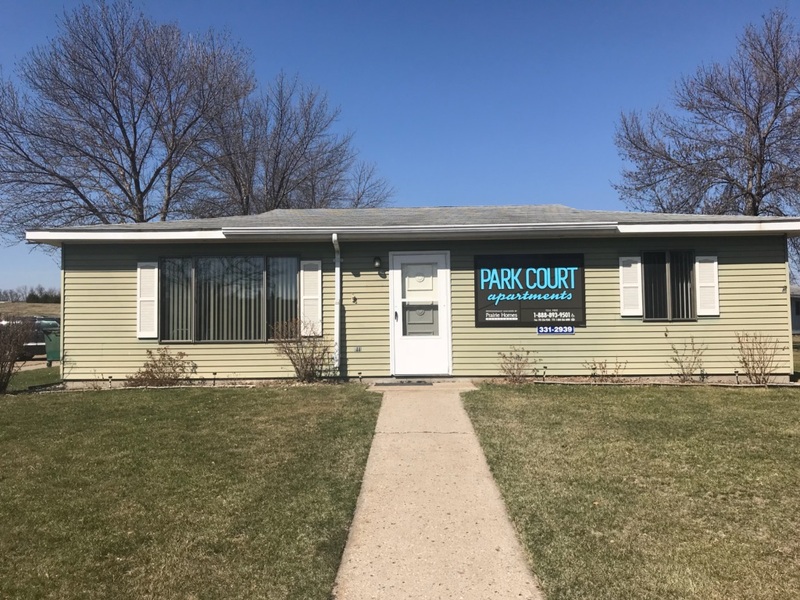 At Park Court Apartments we have 2 different types of apartment rentals to offer. We have income based apartments and conventional apartments to rent. The conventional apartments are comfortable 1 bedroom and 2 bedroom apartments. 1 bedroom conventional rent is $340 a month with heat, water, electricity, sewer and garbage are all included in the rent. 2 bedroom conventional rent is $475 a month with heat, water, electricity, sewer and garbage included in the rent. CURRENT SPECIAL 2 MONTHS FREE RENT with year lease! Rent is 30% of the household's gross income and there are deductions for out-of-pocket medical expenses for any person 62 years of age, disabled or handicapped. Heat, water, electricity, sewer and garbage are all included with the rent. Ask about our MOVE IN INCENTIVE with year lease!